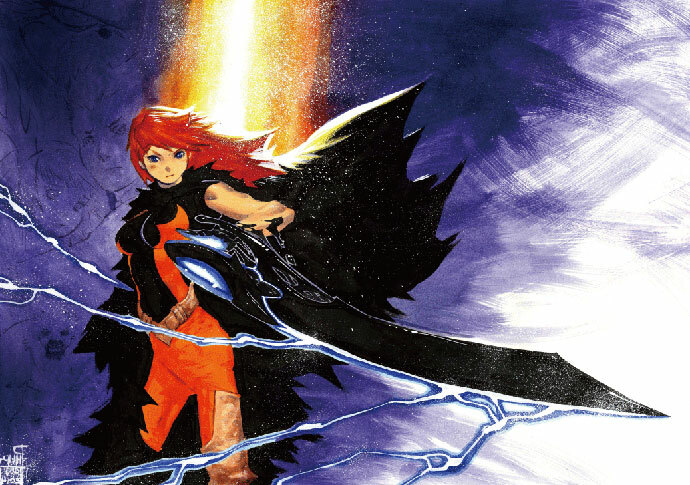 This weekend brought with it the 6th Comiket Special, also titled “Otaku Summit.” Comiket Special is an event held every 5 years, in addition to the bi-annual regular Comic Market, and, contrary to the regular events, has an overarching theme. 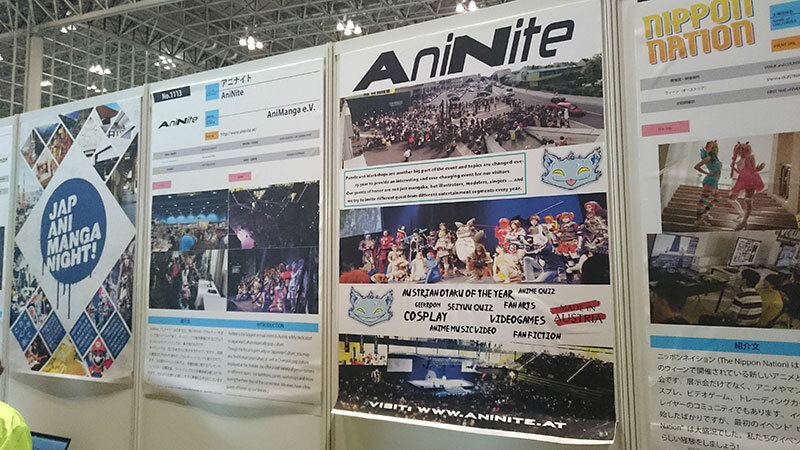 This time around, recognizing the growing international participation in the Comiket events, the organizers worked with the organizers of several overseas anime- and cosplay-themed conventions to put up a joint display for the Japanese fans. 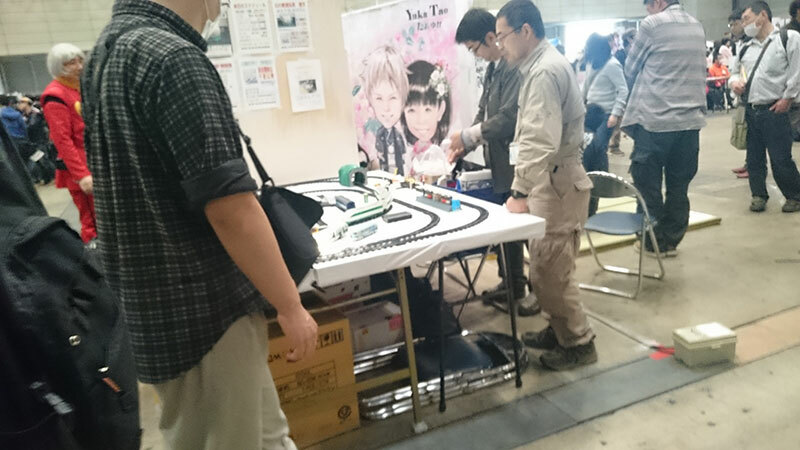 In reality, this was executed via booths much like the “corporate” part of a regular Comiket, and reminded me very much of the booths that schools and smaller companies put up at Tokyo Game Show. Which is in the same venue, so it’s not all that surprising. 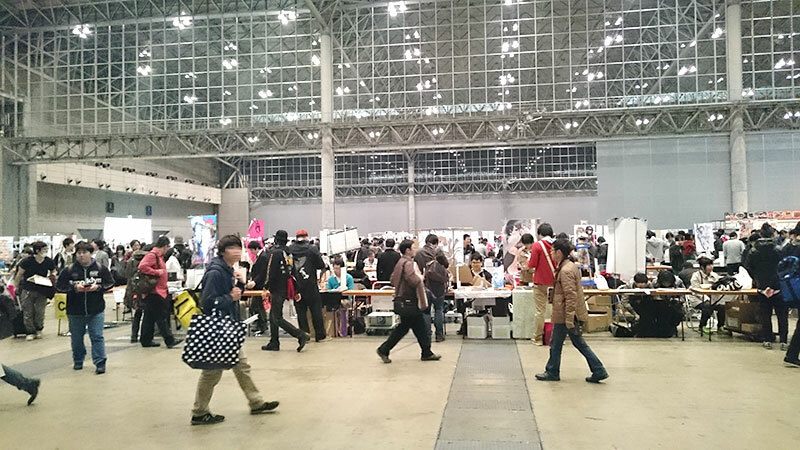 The venue, unlike the regular Comic Market events, was at Makuhari Messe. 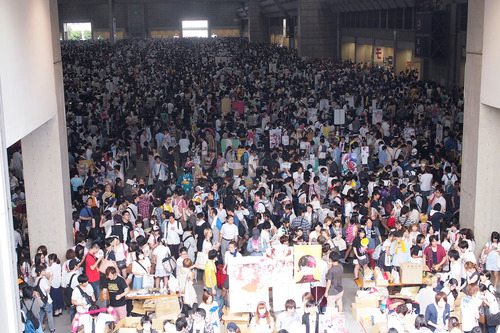 This is actually rather significant, because it makes the Otaku Summit the first time a Comiket event has been held since the infamous “Makuhari banishment incident” in 1991, when the venue’s operators revoked the permission to use it’s facilities on extremely short notice. 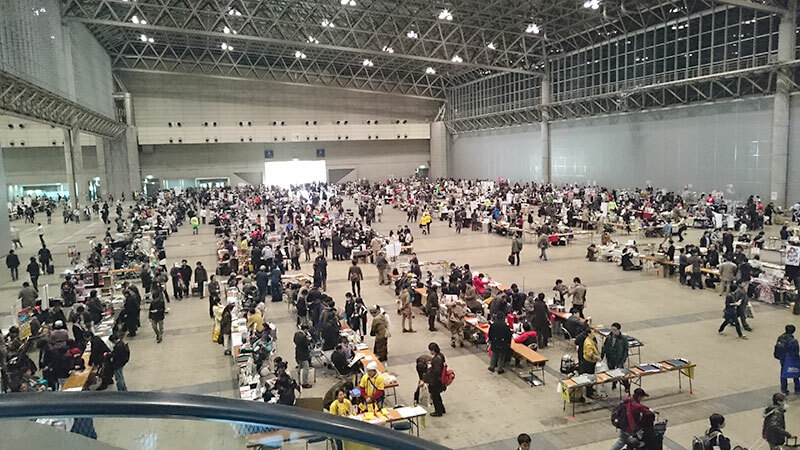 Comic Market has ever since been held at Tokyo Big Sight, which is scheduled to be part of the 2020 Olympic plan, and might not be available for years in order to adapt the facilities. 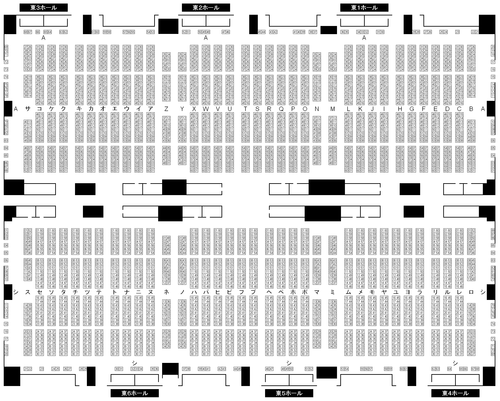 So the Comiket Organizing Committee is short-pressed to come up with an alternative venue, and Makuhari is the only one in the area that’s comparable in size. 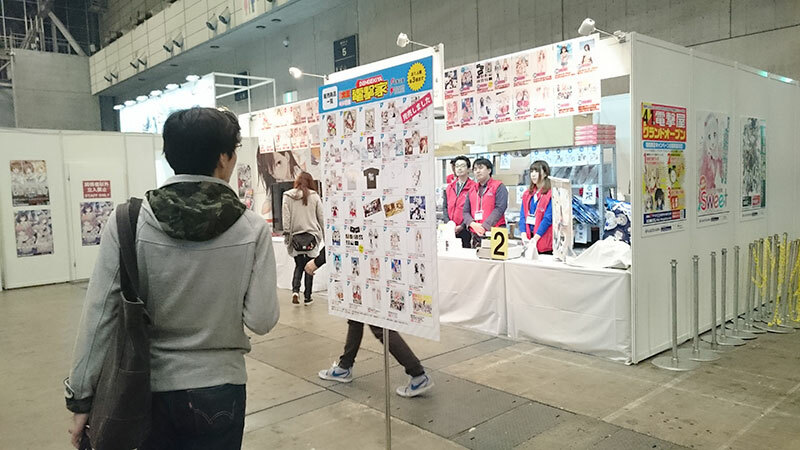 Otaku Summit was free to get into – for the “Comiket Special” sales and exhibition area you were supposed to purchase a catalog (which is your “ticket” for most shows of this type) for 1,000 Yen. I can only assume the border between these two areas was the white wall visible in the picture above, because nobody asked me for my catalog even once on at least 3 trips back and forth. 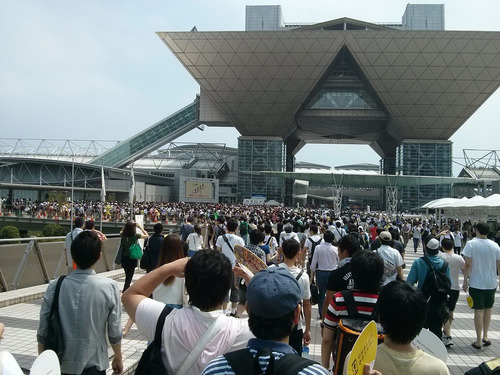 In all, the event used 5 halls of the 11 available, a little larger than Comitia but nowhere near as huge as Comiket. It was also much less densely laid out than the usual shows. I got there at around 1:30pm, which is rather late considering that most Japanese comic events close at 4 (because they need to be out of the venue before 6), so I did not expect too much congestion.. Even so, I was a bit taken aback by how thin the crowd was. Either it wasn’t very well publicized (there were no signs outside the venue, so you’d never find it if you weren’t looking for it), or the theme just didn’t appeal to people a lot. Which is a shame, especially considering that a good portion of the event was completely free. 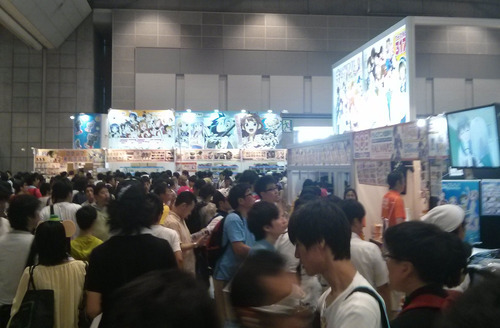 The first section of the show floor, the “Otaku Expo” (too many names for one event! 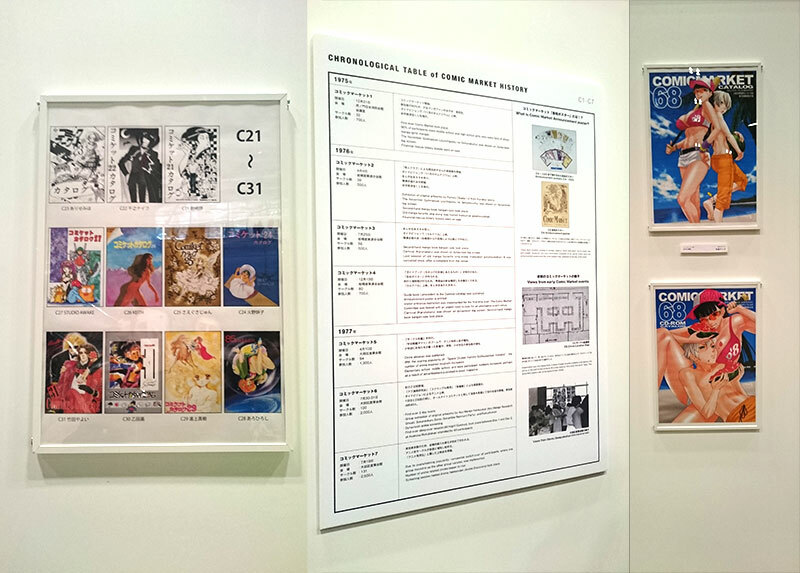 ), started with an exhibition celebrating the 40-year history of Comic Market. This was really, really cool to see. The exibition had reproduction of nearly all of the catalog covers, official bags, leaflets, and other goodies, and an extensive (even for statistics-obsessed Japan, this was impressive!) history description spanning 14 A0 (?) sized panels of text. 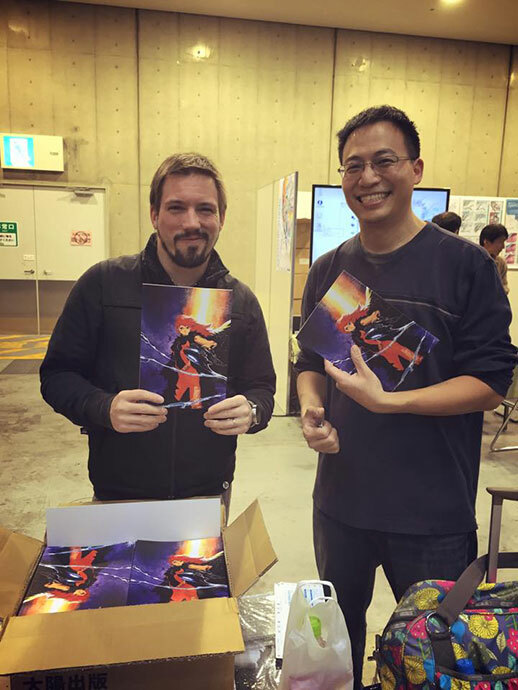 Someone better extend the Comiket Wikipedia page to keep up! The Comiket History exhibition was super cool to see. This was some intriguing and fun stuff, so I uploaded a lot of these to a Flickr album – check them out if you want to see more of the history panels in particular. 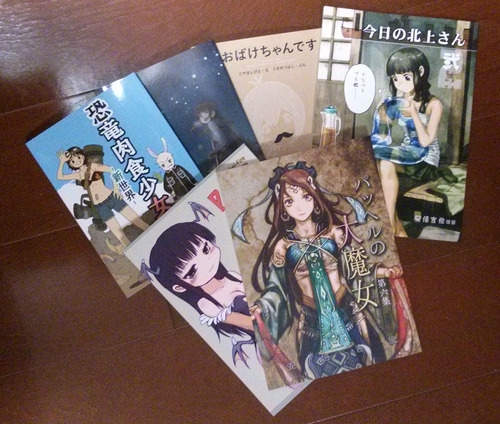 Possibly the most complete collection of Comiket catalogs in existence? Also in the Otaku Expo were a surprising amount of regional tourism boards, trying to make their towns appealing to otaku tourism with original anime-style “image characters,” or tie-ups with anime series set in the area. This has been a noticeable trend: LovePlus fans traveling to Atami with their virtual girlfriends, Lucky Star fans doing their new years’ prayers at Washinomiya shrine, etc. 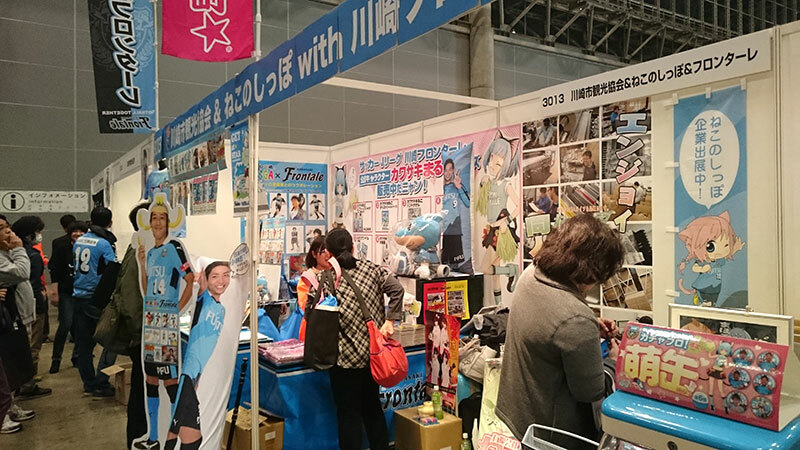 Notable tourism exhibitors at Otaku Summit were the famous Fushimi Inari shrine, Kanda Matsuri, and Soccer team Kawasaki Frontale in a joint booth with Doujinshi printing agency Neko no Shippo. I ended up getting a souvenir bag of various forms of Natto from Mito – Not something I expected to bring home from Comiket! Interesting haul from Otaku Summit: a set of different forms of Natto from Mito. 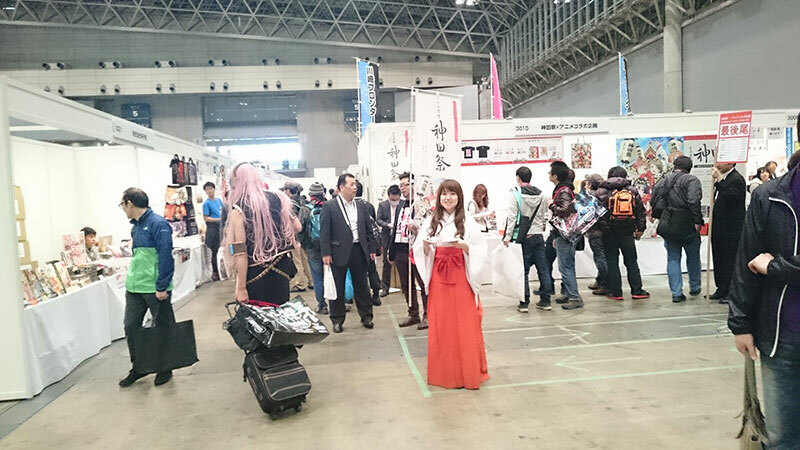 Quite a few regional entities were there to promote their towns to the Otaku crowd. Past these tourism board booths, I finally found the international Otaku event booths. Overseas events and schools often have these showcases at Tokyo Gameshow, but I don’t believe I have ever seen them at a Doujinshi event – Barring Kaigai Manga Festa, obviously. 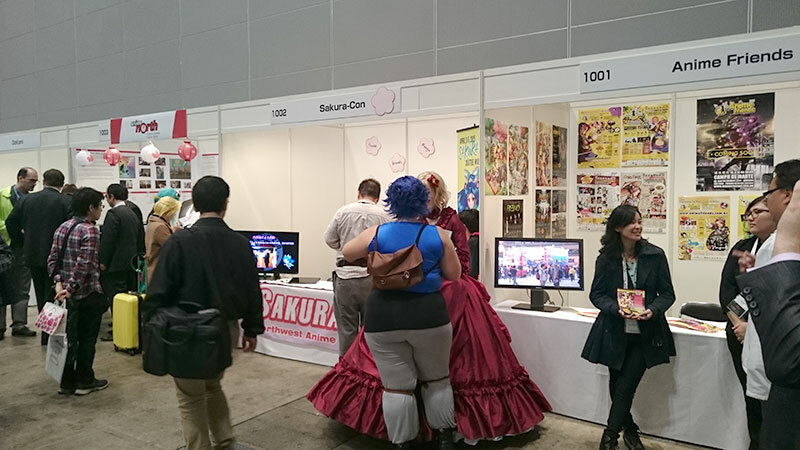 10-odd events from Rome to Thailand were exhibiting, so if you’ve ever been to an anime con overseas, there might be some familiar faces here! Anime North and Sakura-Con were among the names I recognized. 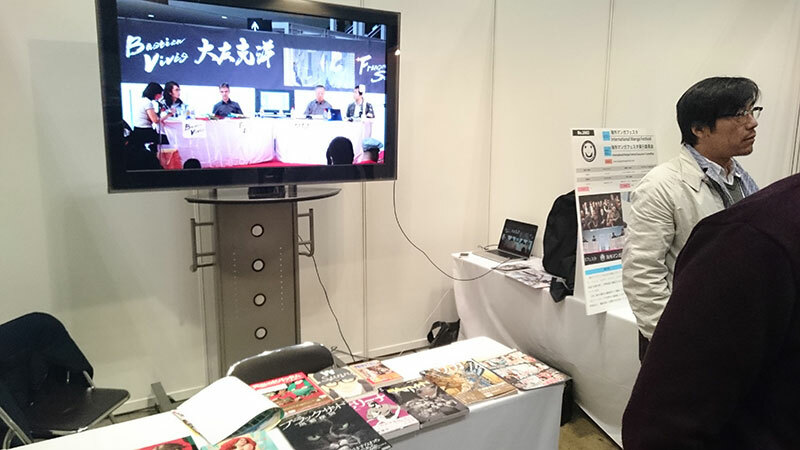 The Kaigai Manga Festa booth featured video of their panel discussions, as well as works from their past guests. The organizers mentioned they would be announcing the date for this year’s Festa very soon! 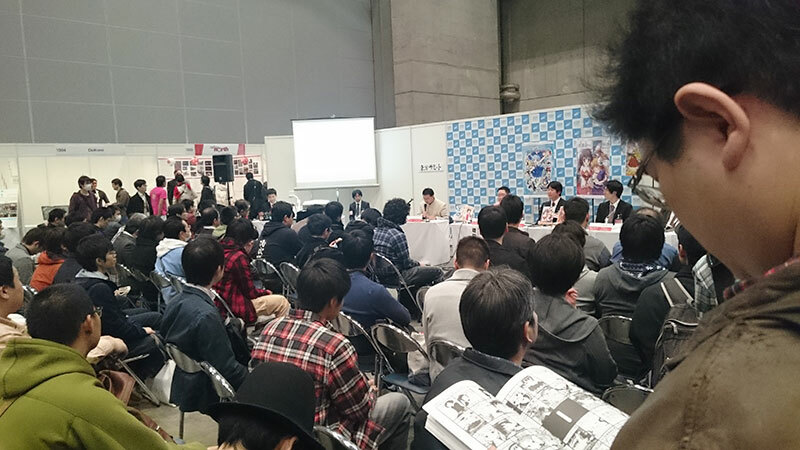 Each of the exhibiting con organizers was given some time to talk about their event – I saw some of the Toho Project related presentation. 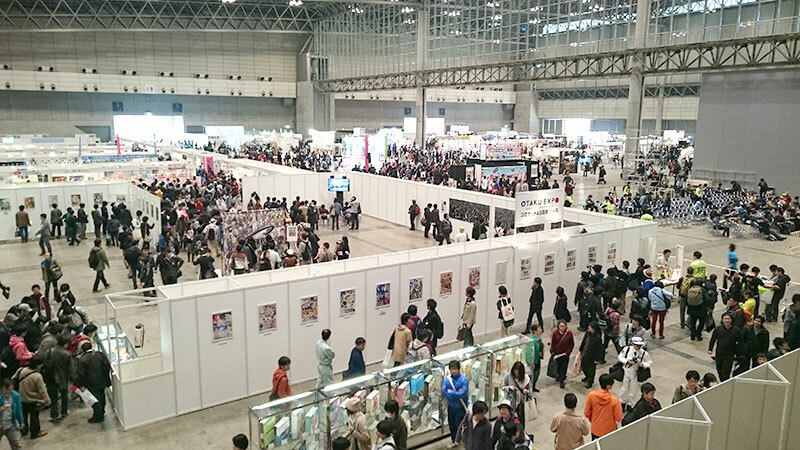 The next area was the corporate booths – very much what I have come to expect from the top floor at Comiket, however the crowds were much more thin (I’m tempted to say it was half empty). As usual, these were present more for goods shopping than anything else, but it was nice to look at them without being shoved past for once. One of the many apparel and goods shops. Not having half of the lineup sold out by 2pm is very uncommon, once again attesting to the poor attendance. 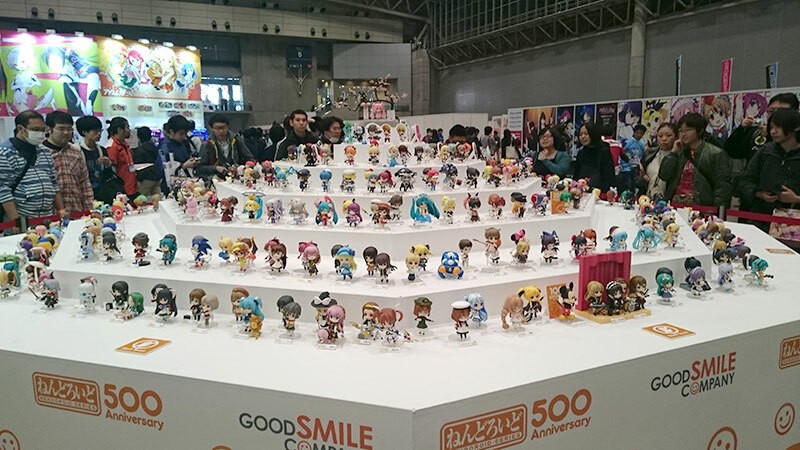 Goodsmile Company’s Nendroid display, commemorating their 500th figure in the series, was rather impressive! Finally, across an aisle reserved for cosplay, there was the more conventional Comiket part of the event – the rows of fold-up tables occupied by doujinshi of all sorts, cosplay DVDs, crafts, photobooks… A lot of the more popular anime/manga properties had been moved to the second day, so the Otaku Summit had more of the crafts and reality based (railway paraphernalia, history, etc), as well as SciFi/Tokusatsu. As you can see in the pictures, the layout was more spacious than usual, making it feel much less crowded. 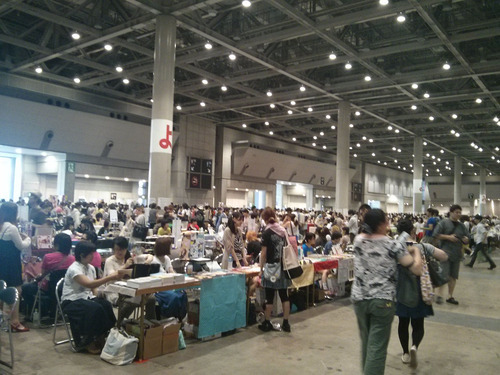 The Doujin and craft area of the event. Truth be told, I found this part of the show a bit lackluster, there weren’t a lot of Doujinshi available, and the show lacked the usual bustle Comiket normally has. I expect that a lot of that might have shifted to Sunday, which also hosted the Kuroket, a convention solely devoted to Kuroko no Basket. 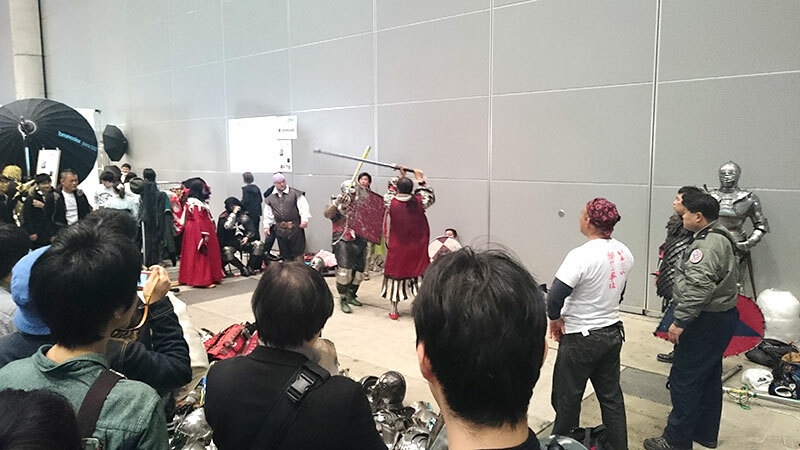 However, the Otaku Expo part of Saturday’s show was one of the most interesting experiences I’ve ever had at a Comiket event. 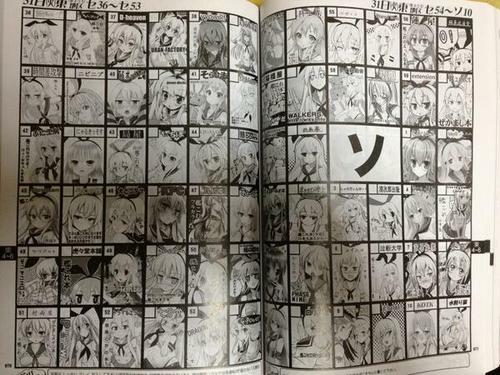 I hope they keep this kind of thing up, and I’m looking forward to the next Comiket Special! 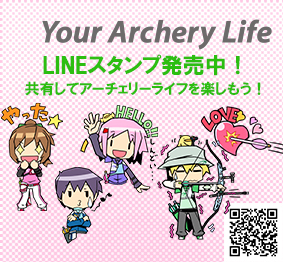 Posted in events, life in japan. Tagged Art & Design, Comiket, dojinshi, doujinshi, english, japan, manga.